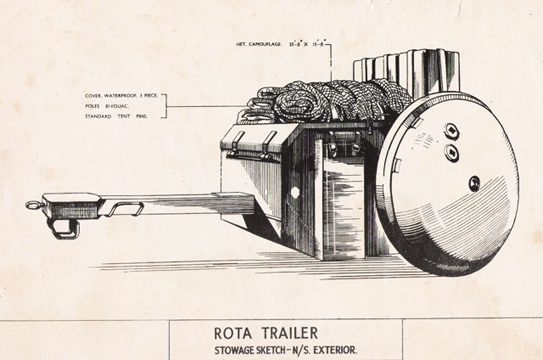 The Rota-trailer was a British design, intended to provide armoured units with additional supplies of ammunition and fuel by towing them in a two-wheeled trailer behind their tanks. Successful trials of the initial version, the Rota-tank, were undertaken at the British Directorate of Tank Design’s (DTD) Wheeled Vehicles Experimental Establishment (WVEE) at Farnborough, in January 1942. By May a contract had been placed with a British firm, Tecalemite, to produce Rota-trailers for the British War Office. 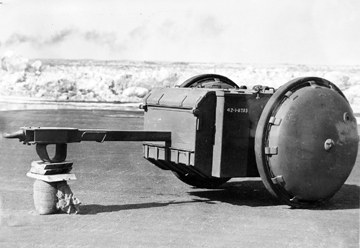 The Rota-trailer comprised two cylindrical drums, with tires, which formed the wheels; held together by a central framework comprising the axle, platform box and towing bar. 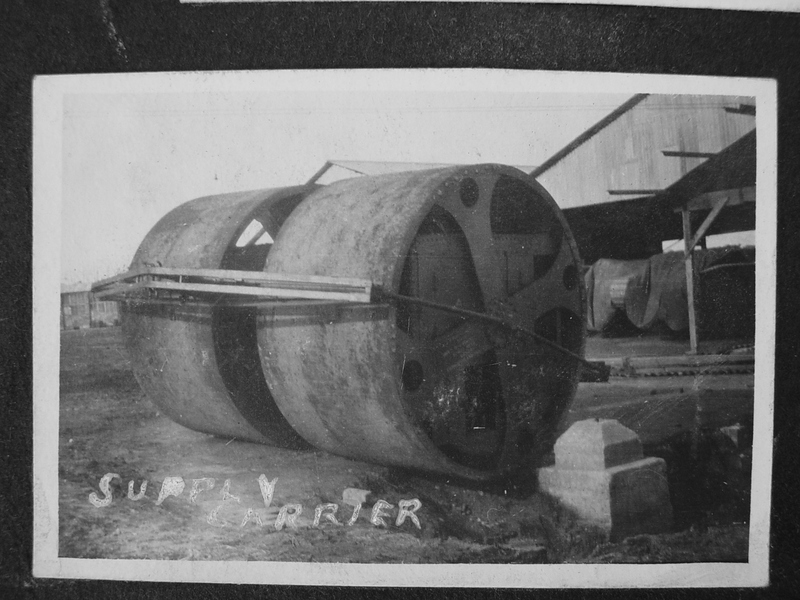 Ammunition (or other supplies) was carried in the platform box and fuel in the hollow wheels, each of which held 60 imperial gallons (300 litres). 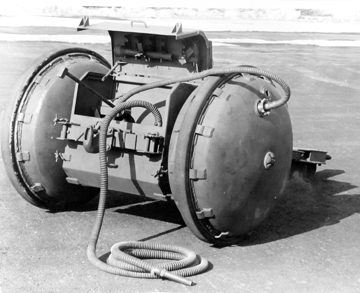 The platform box could carry 900 rounds of small arms ammunition (.303 or Besa) and either 106 2-pounder or 37mm rounds; or 40 6-pounder or 75mm rounds. Additionally it carried lubricating oil (30 litres), water (50 litres) and seven ration boxes. Overall it was 3.1 metres long, 1.9 metres wide and 0.96 metres high. Its unladen weight was 1.6 metric tonnes, its gross weight 2.6 tonnes. Each unit cost about £200 (about $1,000 at the exchange rate of that time). Based on the British War Office’s policy, First Canadian Army directed on 2 September 1942 that all its tanks should be fitted with a towing attachment with a quick-release hook that could pull a Rota-trailer. 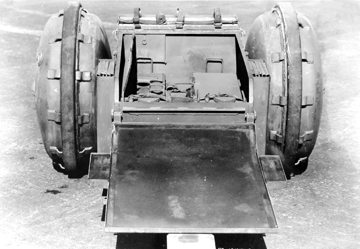 Trials using Canadian Ram tanks to tow the Rota-trailer were undertaken by 5th Canadian Armoured Division. In normal training the trailer itself stood-up well. Except in extreme conditions (such as steep muddy slopes) towing a Rota-trailer did not affect the Ram’s performance nor did it appreciably increase fuel consumption. Initially it was proposed that one trailer be issued to each troop (three tanks) or six per squadron, bringing the estimated Canadian requirements to 300-400 trailers. As the British could provide the Canadian Army Overseas (CAOS) with 20 Rota-trailers a week, from their own production, Canadian Military HQ’s (CMHQ) preference was to procure its Rota-trailers locally. However, in the event that Canadian production might be required, CMHQ sent a set of plans and drawings to Ottawa, in July 1942, followed by a complete Rota-trailer shipped at the end of August. The Canadian Department of Munitions and Supplies (DM&S) used these to build a pilot version which was ready in November. By then, the proposed scale of issue for Rota-trailers had increased to one for each tank, bringing the requirement to 1,140. The War Office offered to provide the CAOS with 30 to 40 a week from British production. In Canada DM&S estimated that within three months of its receiving the go-ahead it could have the Rota-trailer in production in Canada. Editor’s note – The following photograph was recently discovered and shows a similar item dating from the First World War. This dates from October-November, 1918. The photo was taken at Bovington, in the UK. [i]. LAC RG24, volume 9364, file 38/ARM VEH/26, DM&S, Design Record, Volume III, History of Tanks in Canada page 2. [ii].idem, LAC, RG24, reel C-5778, file 55/621 /T24; CWM, Box 21, DMS report E301. Excellent article Roger, well done! 1) Who was it that first came up with the design? Did ATC license/steal it from a British company? Did it go the other way around? I can’t imagine ATC submitting it to the UK five months before submitting it to its own Army. 2) Why did the British Mission in the US ask that the device be tested when the British Army had already done so at home? 3) What do the primary sources from the British/Commonwealth side say on the matter? I cannot answer 1 and 2 from what I’ve found in the US thus far. I’d email you this, but can’t find a ‘contact the author’ button. Interesting, I was unaware of this US Rota-trailer design, and the Canadian Military HQ files which are my main source make no reference to it either. 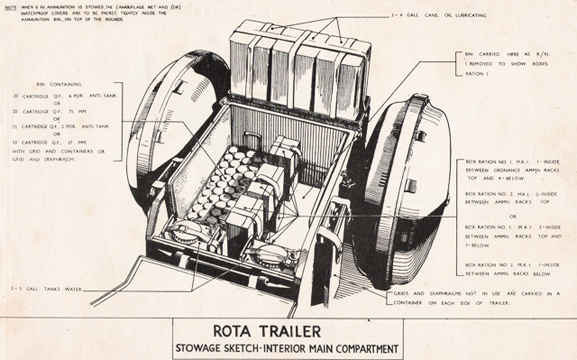 The British Rota Trailer was designed by the Ministry of Supply’s Directorate of Tank Design. 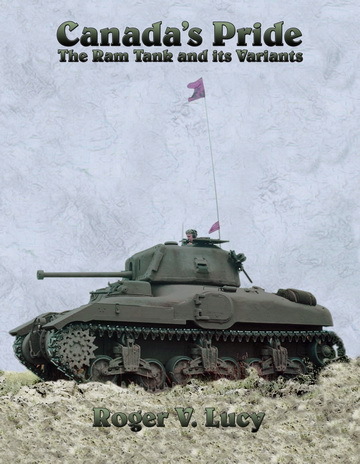 Armored Tank Corp’s design appears similar but clearly differs in a number of ways. They may have been aware of the Rota-trailer’s concept but not of its design details..The British Missions main interest was sourcing military equipment in the USA to supplement British production, which might explain their interest.